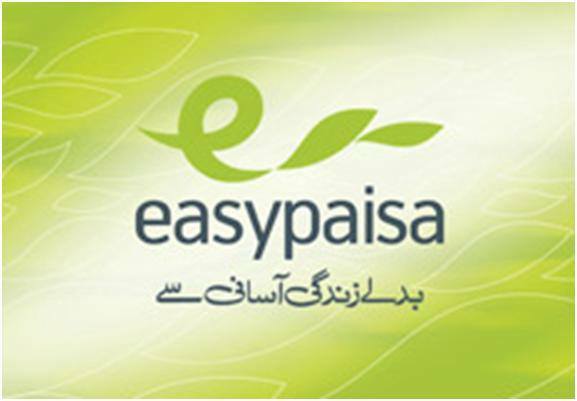 Telenor brings an exceptional payment offer for its valued customers with the name of Telenor Easy Paisa. Now consumers can easily make payments anywhere in Pakistan through this facility with an excellent quality. It was really typical to find out payment service on critical timing in past tenure and mostly people use Banking method in Pakistan for sending and receiving money throughout in Country. Bank provides payment facility only in day-time for its customers and sometimes people really need to send payment on emergency time in the evening time so now this is possible by using Telenor Easy Paisa service just need to visit nearest franchise or agent shop of this telecommunication for sending payments at anywhere in Pakistan. It has countless agents throughout in Country and it is serving widest Easy Paisa payment facility all over in Pakistan with cheap transaction charges. There are other telecommunication networks are also serving same kind facility with the name Ufone UPaisa and Mobilnk MobiCash but this telecommunication is providing cheap transaction charges for its valued consumers of Pakistan as per comparison of other telecommunication of Pakistan. This network has very well-organized agents offices in rural areas of Country and all the villages people can easily avail this payment facility for sending or receiving money all across in Pakistan. Customers can easily make transaction as a guest user by using his/her Telenor sim card and they can also make registration of Telenor Easy Paisa offer account. The procedure of making account is of this facility are given as below. Customers just need to visit nearest Franchise of this telecommunication or Tameer Bank Branch for creating account. Customers need person Telenor sim-card with valid bio-metrically system. Customers need to fill Easy Paisa account and signature and thumb verification also be needed for registration. Service-center will take few passport size photographs on same time of account holder. Account holder gets the receipt for the confirmation of activation. Account opening charges are RS 58 plus tax. Service-Center will take couple of hours for the verification of your identity from NADRA. Service-Center will provide you 5 digits PIN code for Mobile account usage of this network. This facility provides you service for transferring funds anywhere in Country within few seconds. It gives proper confirmation and procedure for sending money anywhere and the sender will receive confirmation message on his/her cellular phones with complete details. It also gives options for paying the utilities bills via this service. Consumers just need to visit nearest agent shop for payment of utilities bills at anytime in a day and you will receive confirmation text from help-center side after payment process completed. It also gives an offer for paying internet monthly bills by using this facility. Customers can easily make transaction of internet monthly bills from the nearest franchise of Easy Paisa and consumers also receive message of complete transaction details. Customers can easily receive money through this service and first they receive notification message from Easy paisa help-center side that you have received money into yours mobile number. Consumers just need to visit nearest franchise for collecting money with correctly. It also provides an option for operating your account through your cellular phone. Customers just need to enter valid 5 digits PIN code of account and they can easily avail all the services of Easy Paisa through his/her cellular phones. Users can fund transfer at anywhere in Country. Users can check previous transaction records. Users can check over-all details. Users can view all paying bills statement.